While Toyota has been happy to supply the world with glimpses of and whispers about its version of the FT-86 sports coupe, Subaru has been suspiciously quiet about its planned version of the car. But it looks like that's about to change. The Pleiades has announced the vehicles that it plans to show off at this year's Geneva Motor Show in March, and tucked amongst the already-revealed Impreza Concept and the new Trezia econobox is word that the Subaru Rear-Wheel Drive Sports Car Technology Concept will also make an appearance. The news answers the question of whether or not the Subaru end of the venture would boast the company's trademark all-wheel drive when it debuts. All signs point to no - at least in concept form. Other than the fact that the RWD Subaru will bow in Geneva, there's no indication as to what the car will look like or whether or not it will ever show up in American showrooms. We do know that the vehicle will boast a Subaru boxer four-cylinder under its hood, though it's unclear whether the engine will be a next-generation interpretation of the engine it currently markets or if Subaru will stick the old turbo lump out front. We'll probably find out soon enough. Hit the jump for the press release. 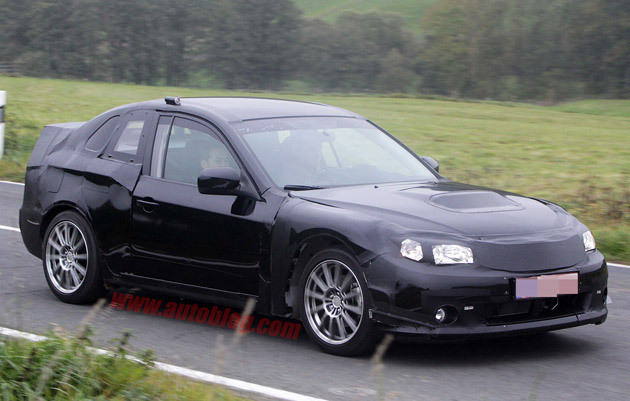 Subaru confirms 'Toyobaru' sports coupe for Geneva originally appeared on Autoblog on Fri, 14 Jan 2011 09:01:00 EST. Please see our terms for use of feeds. Interesting, however, it needs to be AWD for it to be a Subaru.